Claudia Seitz (U of Basle) opened the afternoon session with a presentation on data exclusivity and marketing protection, followed by Alesch Staehelin exploring the legal implications of the “internet of health(care) things”. Claudia pointed out that while regulatory data protection would in theory allow a generic company to conduct its own clinical studies during the data exclusivity period, the Declaration of Helsinki considered replication of clinical trials with human subjects unethical, and animal law prohibited animal studies that did not lead to new insights. So replication of clinical studies was not only impractical for economic reasons, but actually prohibited. Alesch Staehelin (IBM) explored the data protection implications of the “internet of health(care) things”, using massive amounts of data from connected devices to improve health(care). 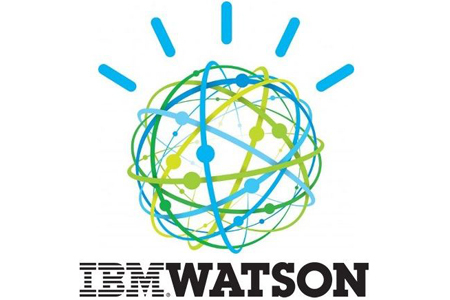 Partially an advertisement for IBM’s Watson data analytics and insight services (“cognitive engine”), the presentation gave a taste of things to come for pharmaceutical companies and their advisers. As Alesch points out, the “internet of health things” will finally enable the much-hyped personalized medicine. You must also keep in mind that “anonymized” data is often a fig leaf – with enough data points, it is almost always possible to identify the individual. Confronted with the question whether access to data becomes increasingly more important than patent protection, Alesch said that in the IoT world, the value of patents was in controlling the interoperability of devices. Patent owners owning standard essential patents could reap outsized rewards for patents that were not necessarily, from a legal point of view, strong. One participant wanted to know whether when globally collecting data, IBM sought to comply with the rules of the many jurisdictions that may be involved, or whether a kind of “meta law” evolved that was considered the global standard. The, in his own words, disappointing answer by Alesch was that IBM shifted responsibility to comply with data protection laws entirely to its clients. In a session dedicated to licensing, Simon Hirsbrunner (Steptoe & Johnson) explained the influence of EU law on licensing agreements in a non-EU country, namely Switzerland. Surprising for no one, EU law applies to agreements entered into by parties in third countries if the agreement influences the EU market. Simon notes a “blind spot” of the TT-BER, as they only relate to agreements concluded for production purposes. He also notes that it is worthwhile to read the guideline to the TT-BER as it contains valuable information – infuriatingly for the practitioners though none of it binding. In the discussion, the interesting question was posed whether an agreement that obliges licensee to challenge the validity of the licensed patent in arbitration, at the exclusion of state courts, violates the prohibition of non-challenge clauses by the TT-BER. No clear answer was found (this Kat would argue that the answer turns on whether the arbitration award obliges the patentee to formally revoke the patent, thereby removing barriers to entry for all market participants, or whether the award only holds that the patent is to be considered invalid between the parties. In the former case, I do not see a violation of the TT-BER, in the latter case, probably so, because a potentially invalid patent still is on the register(s) and has anti-competitive effects). Daryl Lim (John Marshall Law School) undertook a comparative analysis of Genentech (C-567/14) and Kimble v. Marvel Entertainment (576 U.S. ___ (2015)), exploring the limits of the maxim “no patent, no royalties” – and he likes to build bridges, notably between people and ideas. Genentech basically holds that paying royalties for a patent the licensee does not practice or that is invalid is not in violation of EU competition law provided the licensee can terminate the agreement at any time with a reasonably short notice period (two months in the Genentech case, see IPKat post for more info). Genentech is silent, however, on the question of whether paying royalties for an expired patent is permissible. 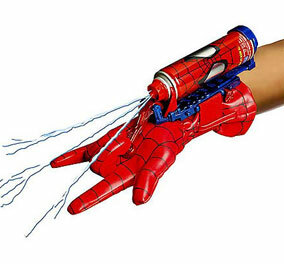 Kimble, the inventor of a Spiderman web shooting toy, entered into an agreement with Marvel that settled a breach of contract and patent infringement case. According to the agreement, Kimble was entitled to a royalty of 3% on all sales of the toy by Marvel, even beyond the term of the patent. The US Supreme Court felt bound by Brulotte v. Thys Co which provides that no royalties must be paid after the expiration of the patent. This clear and simple rule which worked quite well for 50 years should not be diluted. However, the licensor may get royalties based on grounds other than patents, such as trade secrets. When drafting a contract, one is therefore well advised to specify the amount of royalties due for each licensed “right” (or protected position, such as know-how or trade secrets). More on Kimble in this IPKat post. Overall, the conference profited from the interesting mix of participants both on the panels and in the audience and provided valuable insights. Hi Mark, nice to meet you! Many thanks for the summary that is, however, somewhat misleading with respect to my answer to the question how a provider of cognitive IT solutions (such as IBM) complies with the rules of multiple jurisdictions that might be involved in relation to the data stream. This is ultimately a conflict of laws challenge -- unless there is indeed a kind of "meta law". My answer was meant to be "disappointing" not as a value judgment but rather because the legitimate business practice of the provider of cognitive IT solutions (such as IBM) does provide no response to this interesting legal question. The reason for this is simple: The cognitive IT solution supplier does not collect the data itself, rather, the data is being provided by the customer. The provider expects "clean data" (e.g., collected with informed consent of the respective data subjects) and full "data clearance" undertaken by its contractual partner or third parties. Hence the contractual safeguards (allocation of responsibilities, compliance with laws/regulations, indemnification, limitation of liability, etc.). If goes without saying, however, that the provider of cognitive IT solutions (such as IBM) will comply with applicable data protection laws.